Retroreflectivity, or retroreflection, is an optical phenomenon in which reflected rays of light are preferentially returned in directions close to the opposite of the direction from which the rays came.This property is maintained over wide variations of the direction of the incident rays. Retroreflection is achieved through multiple reflections within a retroreflector. Common retroreflectors are cube corners and microspheres of glass or plastic. Retroreflection is used for highway safety and measuring distance. The method used for measuring distance is called time-of-flight measurement, which can be used for great distances. In time-of-flight measurements, the distance from light source to target is determined by measuring the time it takes light to travel to the target and return to the sensor. Time-of-flight distance measurements can be made using pulse-type systems or modulated beam systems. Pulsed-type systems are used for measuring great distances, whereas modulated beam systems are typically used for intermediate range distance measurements. A cube corner array, for example,was left on the moon to allow accurate measurement of its distance from the earth. The most common and practical use of retroreflection technology is its application to highway safety. Pavement markings and road signs are two of the most important means of ensuring the safety of motorists during their travels. Retroreflectivity, or nighttime visibility of signs and pavement markings, is essential for efficient traffic flow, driving comfort, and highway safety in general. Pavement marking and road signs are visible at night because the light from headlights is reflected back into drivers’ eyes by retroreflectors embedded into the signs or road stripes. Quickly and accurately measures the retroreflectivity of pavement markings using a scanning laser source. 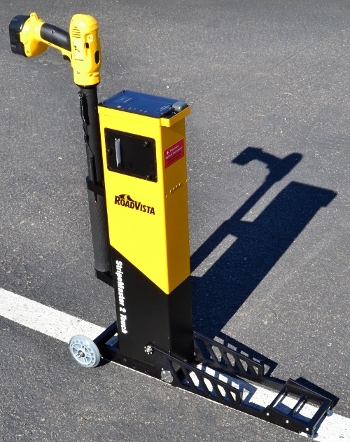 Provides real-time pavement marking reflectivity at day or night with varying traffic speeds. 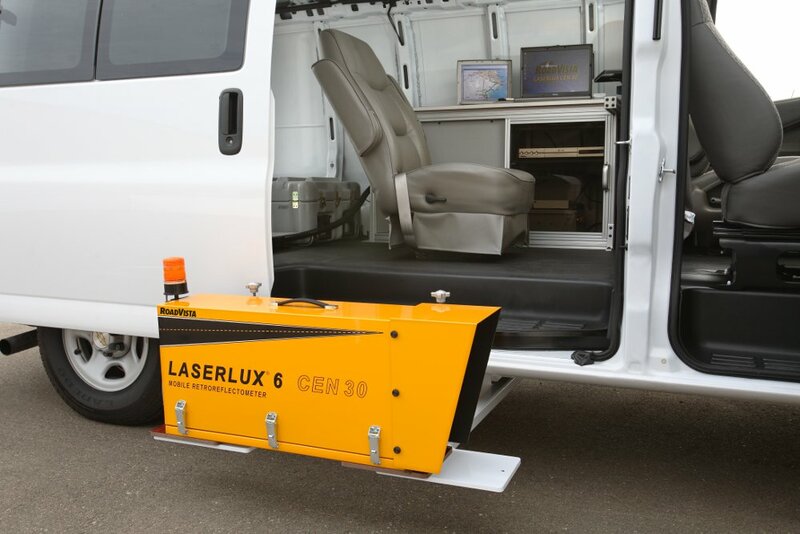 The Laserlux® CEN 30 mobile retroreflectometer is the most complete and sophisticated mobile highway retroreflectometer system on the market today. Featuring proven optical head technology, the system objectively measures the retroreflectivity of pavement markings using a scanning laser source. The system ensures that measurements are collected quickly and accurately by incorporating new high-speed data acquisition electronics and software, and precise angular settings of illumination and angle of observation. The system provides real-time pavement marking reflectivity and can be used either day or night at variable traffic speeds. Designed with CEN 30-meter geometry, the system has a scan width of 1.1 meters, giving the user both contrast and retroreflectivity measurements anywhere within the scan width. Features include Windows 7/8 based graphical data logging software with a GPS for location data logging, mounting brackets for left- or right-side vehicle measurements, a forward-looking video camera with cab-mounted monitor for driver guidance and cab-mounted video recording camera with data overlay. Ensures a cost effective, safe, absolute means of meeting the minimum retroreflectivity requirements for traffic signs. 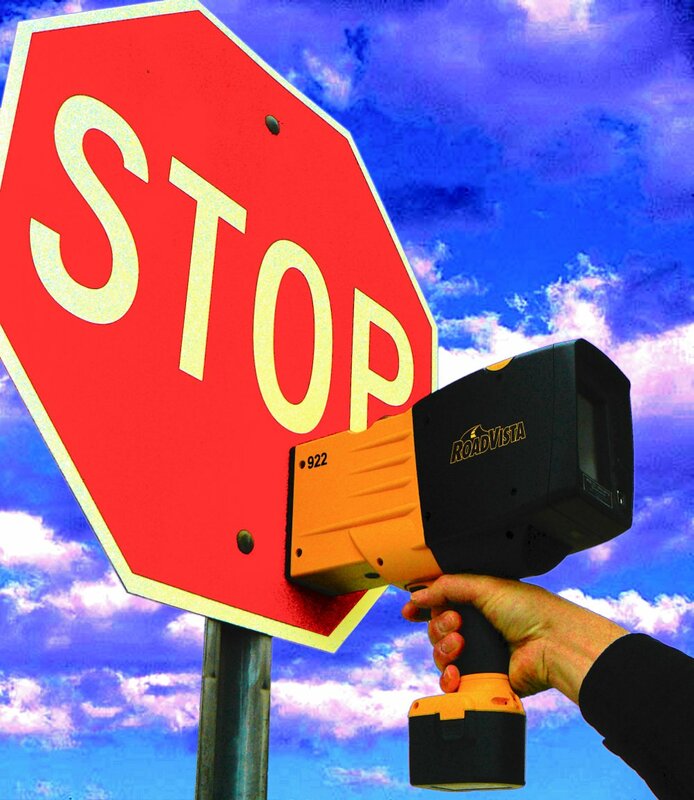 Captures measurements for any type of retroreflective material and measures to ensure compliance with MUTCD minimum retroreflectivity requirements. The RoadVista model 922 is a handheld sign retroreflectometer designed for use in the field. It is designed to measure the retroreflection (RA ) of road signs and other materials. In January 2008, the second revision of the MUTCD was released. It introduces language establishing minimum retroreflectivity levels that must be maintained for traffic signs. 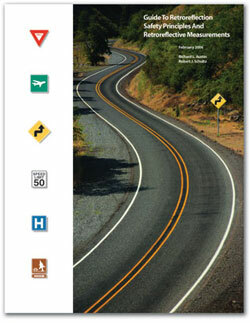 By January 2012, all agencies must implement a sign assessment and management program. 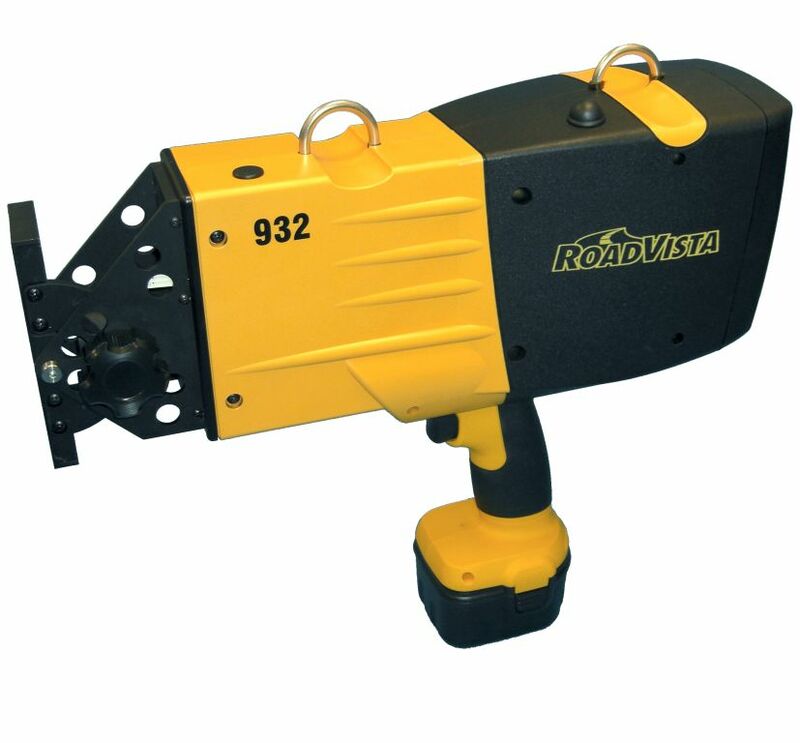 The RoadVista model 922 is an integral component of any program to maintain minimum retroreflectivity levels. Since a significant portion of the vehicles on the road in the USA are now SUVs and pickup trucks, ASTM has issued a new specification to require measurements to be performed at an observation angle of 0.5 degrees. The 922 is the perfect instrument for this addition. Utilizing the ASTM standard “annular” geometry, the 922 measures observation angles of 0.2 and 0.5 degrees simultaneously, with an entrance angle of -4 degrees. This patented (US Patent# 7,961,328) design allows you to know, with the press of a button, exactly how bright your sign will appear to most drivers. Plus, the annular geometry means you will not have to take an average of two measurements with prismatic-type materials, further simplifying the measurement process. A European version is available with a standard 0.33-degree observation angle and +5-degree entrance angle. The sensitive light sensor meets ASTM E1709 and ASTM E2540 requirements with the CIE standard human eye response in conjunction with the CIE illuminant “A” lamp. Our world-class photometric filter fit is unmatched by the competition and allows extremely accurate measurements of other colors using the single white reference standard with no correction factors. Patented design to fully characterize the retroreflection (RA) and retroreflected night-time (CIE1931xy) color of road signs, high visibility safety clothing and other materials. The RoadVista model 932 is a handheld retroreflectometer designed for use in the field or in a laboratory or QA/QC environment. It is designed to fully characterize the retroreflection (RA) and retroreflected night-time (CIE1931xy) color of road signs, high visibility safety clothing and other materials. This patented (US Patent# 7,961,328) design allows you to know, with the press of a button, exactly how bright your retroreflector will appear to most drivers, as well as determine if the color falls within the defined color box. The adjustable entrance angle and observation allows for complete characterization of most retroreflectors, including full high-visibility clothing retroreflective testing to EN ISO 20471 and ANSI/ISEA 107. 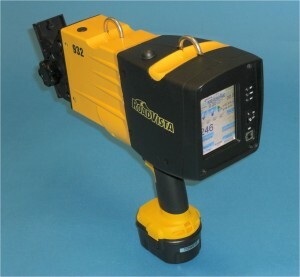 The Model 932 comes standard with a Bluetooth wireless interface and USB computer interface both allowing for remote operation of the instrument and data logging. The internal memory has the capacity to store more than 32000 measurements. Next generation pavement marking management tool that measures retroreflection and automatically saves key data. Designed for use in the field, the StripeMaster 2 Touch measures the retroreflectivity (RL) of glass beads embedded in white or yellow thermoplastic, traffic paint or temporary marking materials. An intuitive, touch-screen interface leads to faster measurement times and the retroreflectometer features easy data export for comprehensive documentation and tracking. Uploading collected data to a computer is easy with USB or Bluetooth connectivity. The included data integration software exports the data in CSV, KML, XML and Shape-file formats for maximum compatibility with most GIS databases. The StripeMaster 2 Touch is equipped with an internal GPS, Bluetooth, ambient temperature thermometer, humidity hygrometer and printer. The internal memory has the capacity to store more than 25,000 measurements. A full color touch screen and user friendly menus make recording measurements fast and easy. Operators can attach installation dates, thickness, bead types, material types, color, pavement types, location and more directly to the readings. This reduces the need to match up data later. Measurements can be made in 0.2 seconds and the instrument is ready for the next measurement in less than 2 seconds. This means the user spends less time on the road, which increases worker safety. The SM2-Touch can measure profiled markings up to 0.59 inches (15 mm) in height. The SM2-Touch comes with a standard reference and calibration tile calibrated in our world-class photometric lab. The calibration is directly traceable to the American national standards lab, and the equipment used is held to the level of accuracy to ensure compliance with ANSI/NCSL Z540-1-1994 and ISO 17025. 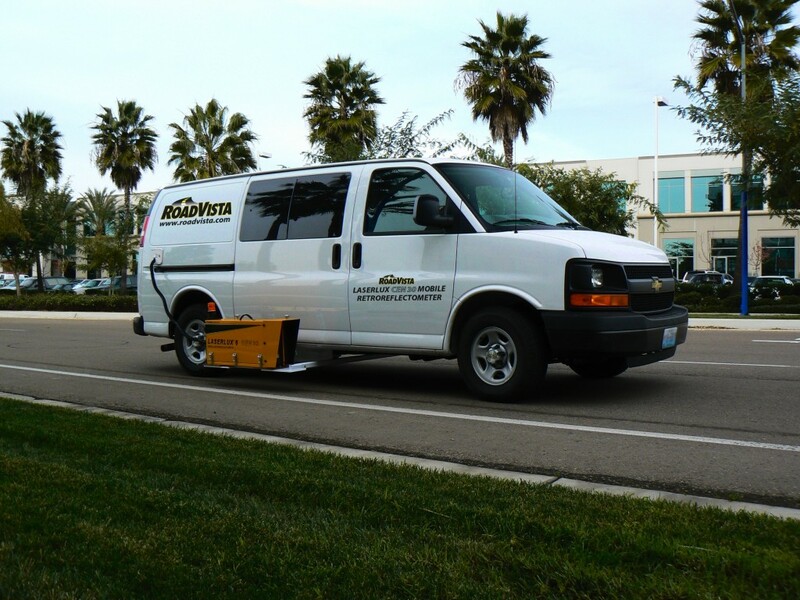 The calibration standard allows for measurements of white and yellow pavement markings without the need for recalibration. 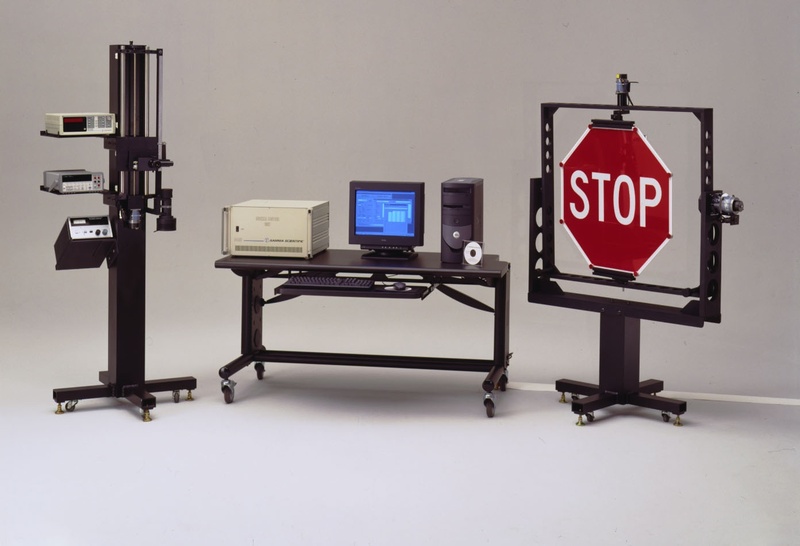 Benchtop four-axis goniometer system for testing sign sheeting and high visibility clothing. Inspection QA test tool for quick testing at multiple measurement geometries. The 933 Retroreflective Workstation measures retroreflection (RA) and the retroreflective color of materials. The 933 contains a 3-axis motorized goniometer that features continuously adjustable β1 (-60° to 60°), β2 (-60° to 60°), and ε (-180° to 180°) angles, as well as a motorized, continuously adjustable α (0.2° to 2°) angle mechanism. The observation angle on the color detector is fixed at 0.33°. The primary light sensor meets ASTM E1709 requirements with the CIE standard human eye response in conjunction with the CIE illuminant “A” lamp. The photometric filter accurately measures different colors without the need to calculate correction factors. The color detector features a 3-channel RGB sensor used to generate CIE1931 color coordinates. The user interface features a high resolution color touch screen. A separate graphics co-processor provides quick, intuitive response as well as clearly rendered text and images for easy viewing of pertinent data. The unit can be operated as a stand-alone unit, in which case the internal memory has the capacity to store readings and accompanying data for more than 30,000 measurements in non-volatile flash memory. Additionally, the 933 can be controlled over USB via simple ASCII commands to automate multi-measurement situations. USB drivers for Windows, Mac, and Linux are available, as well as sample Windows software utilizing Excel that demonstrates macro control. Ultimate platform for photometric testing of retroreflective materials. Provides complete and accurate retroreflection measurements. 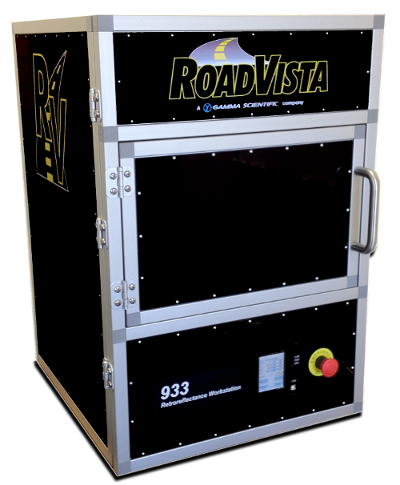 The RoadVista Model 940D Computerized Photometric Range System is the ultimate in photometric testing of retroreflective materials, devices, automotive lighting and light sources. It allows the material engineer and the light source designer to characterize their products, whether purchased or developed in-house. When used in conjunction with Gamma Scientific’s flexOptometer, the system allows photometric measurements that determine the effective intensity of red and white strobe type anti-collision lights for aircraft and integrated illuminance energy in units of Lux-seconds (lumen/m² per second) and luminous intensity energy (candela second) for barricade and other flashing lamp sources. The system can also be configured with the Gamma Scientific RadOMA spectroradiometer system to perform night-time color measurements of retroreflectors and spatial color measurements of automotive lighting and light sources. The Windows 7 compatible system software enables a single operator to perform highly accurate measurements in a matter of minutes. Simplifying retroreflectance measurements via default measurement sequences conforming to ASTM E809 procedures A and B for retroreflective materials. Or utilize SAE configurations for measuring light sources such as headlights, taillights, message and warning lights and LED’s. Single, vector and matrix measurements are possible with easily programmed data collection macro sequence files. What is Retroreflection and How Is It Used?